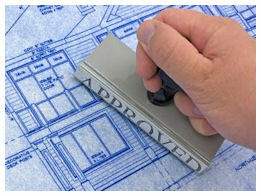 Access All Areas provides valuable assistance with meeting your planning requirements and current building compliance. We provide valuable help with Building Control access issues and disabled access. Helping Building Control and local authorities to fully understand the true requirements of the Equality Act. This enables you to get plans signed off that previously required difficult to meet, unreasonable requests. The requirements of the Equality Act are that you should make a “reasonable adjustment” in meeting t he needs of people with disabilities. Sadly many Building Control staff have no access officer within their department or even employed by the Council that Building Control are working. They often simply quote Part M of the Building Regulations as a 100% must comply with with no knowledge or understand the important of reasonable adjustment under the Act. This approach if not challenged can cost you as a business a great deal of money, often running into many thousands of pounds as well as severely delaying your building project. Since 2003 we have assisted many businesses that have struggled to meet unreasonable requests by Building Control including the installation of unneeded passenger lifts when all disabled facilities are offered on the ground floor, hard to meet ramp gradients, additional disabled WC’s and much more. We work with you and prepare access statements that satisfy Building Regulations and work with them so they can understand the issues and assist with coming to a reasonable and financially viable solution while still providing full disabled access and egress needs. Contact us for help with Building Control access issues and let us work with you to identify your actual requirements and highlight them in a way that Building Control understand.